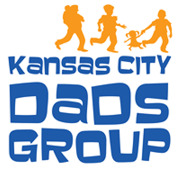 Kansas City Dads Group is a diverse community of fathers who take an active role in our children’s lives. We host meet-ups several times per month, with our kids at parks, playgrounds, museums, sporting events, parent-and-me classes, and anywhere else we feel compelled within the Kansas City, Missouri metropolitan area. We also host Dads Nights Out to give our members an opportunity to socialize, have fun, learn, and support each other as we navigate parenthood. We are a group with dads of all stripes: married dads, single dads, dads who share custody, adoptive dads, step dads, stay at home dads, full time working dads, work from home dads, freelance dads, etc. Our meet-ups occur both during the week and on weekends to accommodate both stay at home dads and working dads. We welcome all involved fathers in and around the Kansas City metro area who want to socialize and interact with other guys who enjoy spending quality time with their children. The only requirement to joining us is to be a dad. There are no group dues and no attendance expectations. We have some dads who come consistently to most of what we do, and we have some dads who might only come out once or twice per year. We’re here for all dads whenever they are ready to participate. ** Please note this group is strictly for Dads, we understand sometimes wives will try join for their significant others but we encourage them to join on their own accord. We want this group to be a comfortable place for Dads to learn and talk about anything dad related. ***As Dads we respect the rights of our in home hosts and also the privacy and safety of our member families. If you are new to the group we invite you to meetup with us at one of our upcoming public events. We look forward to getting to know you and welcome you to our great network of Dads in the KC area. In home playgroup location information is shared upon request. Thank you for understanding the importance of our privacy and safety.